Hares and rabbits are small, stocky, short-tailed mammals with thick usually soft fur. 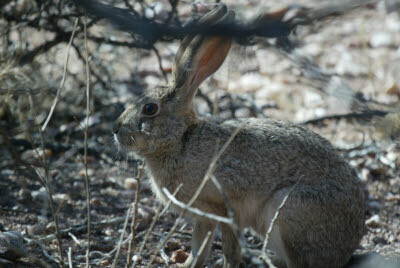 There family has 53 species worldwide. Hares and rabbits have long hind legs for sprinting, and long mobile ears and large eyes for detecting nighttime predators. 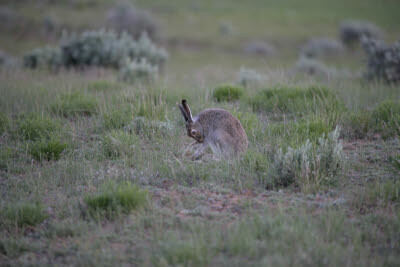 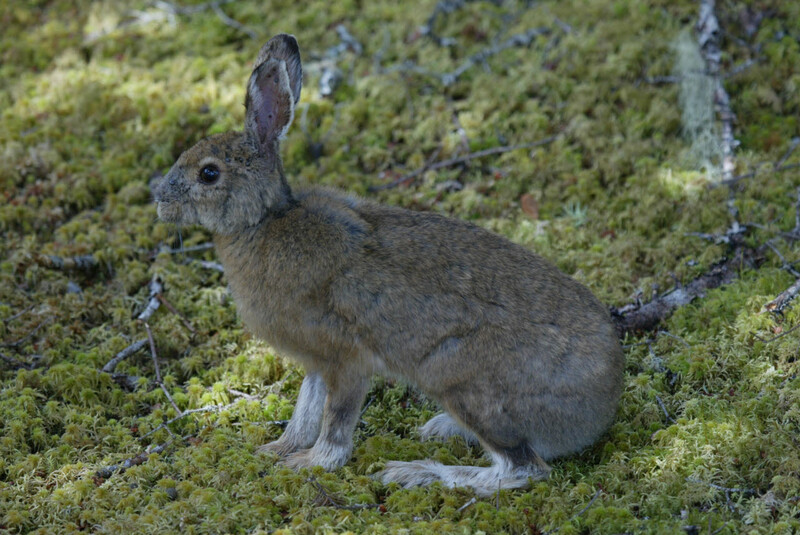 Hares rely on cryptic coloration as they lie up in shallow forms in grass and under bushes. 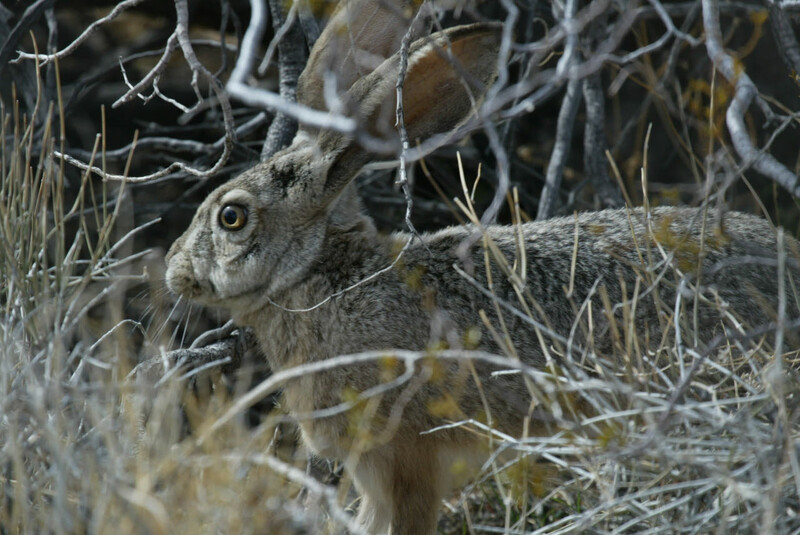 When pursued, hares can run 30 mph or faster. 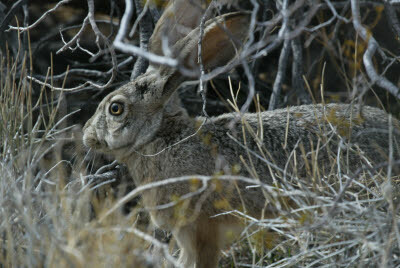 Rabbits, in contrast, bolt into burrows or thickets.